When should you take Rhinaris Nasal Mist 30 ml? 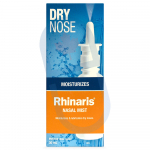 Rhinaris Nasal Mist should be taken for dry nose every 4 hours as needed when symptoms of dry nose are present. You can order Rhinaris Nasal Mist 30 ml online from our Canadian online Pharmacy at YouDrugstore and pay the same price that Canadians pay. Dry nose can result from using other medications, having allergies or common colds, or from an array of other conditions. Dry nose can make breathing difficult as mucus membranes solidify and block nasal passageways. It can also cause nose bleeds and runny nose. Order your supply of Rhinaris Nasal Mist 30 ml online today at YouDrugstore and we will ship it right to your door at a cheap shipping cost. What are the side effects of taking Rhinaris Nasal Mist 30 ml? Side effects do not usually occur with Rhinaris Nasal Mist. However, there is sometimes some discomfort if the nose is especially dry and/or irritated. For example, a slight stinging feeling is not uncommon during first use. Serious allergic reactions have been reported, but are very rare. If you notice or begin to experience an allergic reaction, such as a rash, severe dizziness, difficulty breathing, or itching, seek out a health care professional immediately. If you are allergic to Sodium Chloride, Potassium Chloride, Potassium Phosphate Monobasic, Benzalkonium Chloride, or Dibasic Sodium Phosphate Anhydrous contact your doctor before using Rhinaris Nasal Mist. If you have any other questions or concerns about Rhinaris Nasal Mist speak to your doctor before use. Why is Rhinaris Nasal Mist 30 ml recommended to treat dry nose? As mentioned above, any side effects from using Rhinaris Nasal Mist are considered rare. Rhinaris Nasal Mist is a water-based lubricant for your nasal passageways. It is made with the medicinal ingredients polyethylene glycol and propylene glycol, which work to lubricate and help clear away thick or dried up mucus and other secretions in the nasal passageways. Rhinaris Nasal Mist also provides fast, long lasting relief from further spells of a dry nose. It can be taken long term without the rebound effects found in most other nasal sprays. 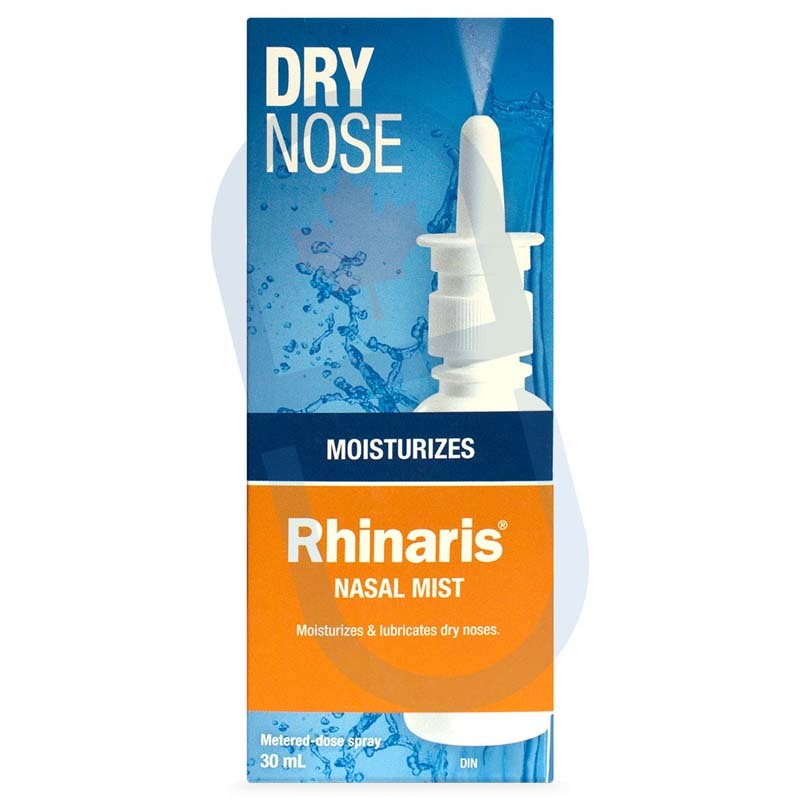 Order Rhinaris Nasal Mist 30 ml online from YouDrugstore today and find fast acting, long lasting relief at the same price that Canadians pay. We will ship your order to your door at a cheap shipping rate! Who can use Rhinaris Nasal Mist 30 ml? If you suffer from dry nose, or dry nose symptoms, an order of Rhinaris Nasal Mist 30 ml could help lubricate your nasal passageways and help clean out any build up of mucus or other secretions in your nose. Rhinaris Nasal Mist may be suitable for everyone over 2 years of age. If you are allergic to ingredients such as Sodium Chloride, Potassium Chloride, Potassium Phosphate Monobasic, Benzalkonium Chloride, or Dibasic Sodium Phosphate Anhydrous please contact and consult with your health care practitioner first before using Rhinaris Nasal Mist. How do you order Rhinaris Nasal Mist 30 ml online? You can order Rhinaris Nasal Mist 30 ml online from Canada. YouDrugstore is an online Canadian pharmacy, which means you pay the same price that Canadians pay. All you have to do is send YouDrugstore your order for Rhinaris Nasal Mist 30 ml and our health care team will review it, process it, and ship your order directly to your mailbox at a cheap shipping rate. Order Rhinaris Nasal Mist 30 ml today and find relief from your dry nose. Where can I learn more about Rhinaris Nasal Mist 30 ml?